Award-winning author Debbie Levy talks about her two most recent titles—The Year of Goodbyes (Disney Hyperion) and Imperfect Spiral (Walker/Bloomsbury)—and how they might prompt discussion and writing in the classroom and at home. Both books connect to themes of injustice, intimidation and bullying, friendship, family, and identity. Debbie’s website includes more information on her twenty wonderful picture books, novels, books of poetry and biographies for young people. 1. Thanks for visiting Pencil Tips, Debbie! The Year of Goodbyes is such a powerful, beautiful book. My whole family read it and loved it! Where did you get the idea for this historical novel in verse, which is set right before World War II? The idea for The Year of Goodbyes wasn’t so much an idea as a discovery. 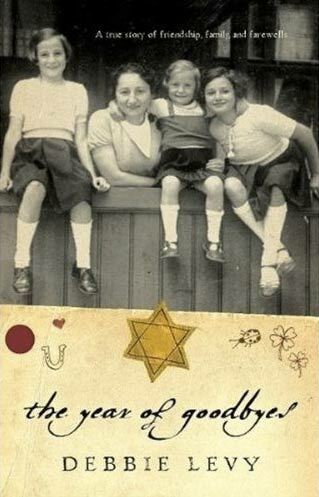 After years of trying to find a way to write my mother’s story of living as a Jewish girl in Nazi Germany in the 1930s, I discovered Mom’s poesiealbum. (Let’s get the problem of the multi-syllabic German word out of the way: It’s poesie, pronounced po-eh-ZEE, or poem, + album = poetry album.) A poesiealbum is like an autograph book or friendship book. They were popular among European pre-teens and teenagers. I didn’t discover the poesiealbum up in some dusty attic. My parents’ house didn’t have an attic. No, my mother pulled it out of her bedside table when she got together with six of her childhood friends from Germany for the first time in 62 years in 2000. (You can read about how the reunion came to be here.) Some of them had written in it back in 1938! If I’d seen the album when I was growing up, I didn’t remember it. When I saw it in 2000, I was moved by this beat-up little book full of handwritten poems, proverbs, and drawings from my mother’s friends and relatives that she brought across the Atlantic Ocean when she left Germany behind in November 1938. I had the album translated, laid out photocopies of the pages in chronological order on the floor, and found that each entry contained a truth that related directly to the goings-on around my mother from January through November of 1938. And so, nearly every chapter in The Year of Goodbyes opens with one of these poesiealbum entries. Arranged chronologically, these poesies give shape to the true story of that fateful year in Nazi Germany and in my mother’s life. 2. 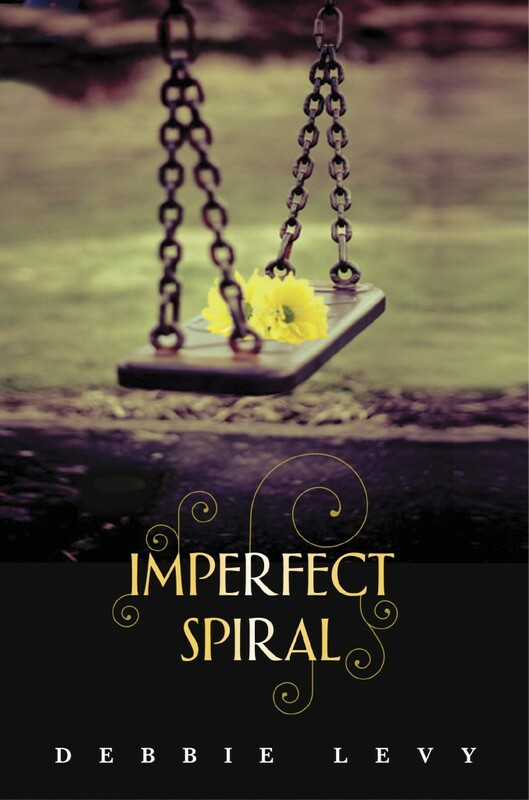 What triggered your new YA novel Imperfect Spiral? I love the way you explore larger issues (immigration policy, community activism) through your vivid characters. First-person narrator Danielle, with her wry voice and worries, seems very real. The origins of Imperfect Spiral were musings about a character, a teenage girl, who feels, as teenagers often do, that she is unutterably peculiar, when actually she is just a little bit peculiar, as so many of us are. I wanted her to see herself reflected in the eyes of a little boy (who may also be a little bit peculiar) who thinks she is absolutely the greatest, and with whom she develops a deep connection despite the difference in their ages. So it was this relationship that was the spark. These two characters, Danielle and Humphrey, then took on lives of their own in my imagination, and so did other characters and plot ideas, and this one, in particular: What if something terrible happened to little Humphrey, and it happened on Danielle’s watch, when she was babysitting him? What would the consequences be for her personally? And—as importantly, because I wanted to write a story that wasn’t only about a teen character looking inward—what would the consequences be for her community? With this as a framework, I was able to explore such disparate ideas as unlikely friendships, immigration policy, and how even well-meaning people can twist events to suit their agendas. The characters themselves gave me more ideas. Their inner lives suggested situations where dramatic tension might develop, where opportunities for change would arise. Until Humphrey has a tragic accident, Danielle has made something of an art form of not being engaged in school, community—you might even say she’s less than fully engaged in her own life. But that becomes less of an option as reaction to the tragedy spirals, if not out of control, at least in directions that she can’t accept. 3. Were you a writer as a youngster or did you come to a love of writing later in life? When I visit with students of all ages I always bring with me some of the “books” I wrote when I was around seven. Like Something Happens To Tuggy. The Captured Boys. And my first foray into nonfiction: Fish. You can see thumbnail pictures of these on my website. I shared two of these early efforts with kids at the Sandy Spring Friends School Authors Fair in April and it is not much of exaggeration to say that the kids spent more time paging through them than through my books that have actually been published! (By the way, this relates to my belief in the power of handwritten works—see above, poesiealbum pages.) I think the younger children look at these books and realize, “I can do that!” and the kids in middle school and up think they’re cute and maybe it would have been fun to babysit me when I was seven. If, that is, they can imagine me ever having been seven. By the way, guess who saved these early works? My mother, of course! 4. How have you used The Year of Goodbyes in working with young people and their writing? When I do school assembly presentations about The Year of Goodbyes, I focus on the book behind the book (that is, the poesiealbum and its tradition), life in Germany in the 1930s for my mother’s family and others like them, and, of course, my mother’s story. I do this with the help of a PowerPoint slide show that is rich in photos and other striking images. I also talk about the connections and contrasts between the old-fashioned poesiealbum tradition and Facebook, Twitter, and other social media. - to inspire somebody who faces great adversity or fear. Why engage in these exercises in poesiealbum-style writing? First, this approach integrates learning about the history of the era with practice in formulating thoughtful responses to injustice in the world. Second, I like the idea of writing a few carefully chosen words, packing as much meaning as possible into small packages. And third, as I explain to the students, for us as writers and as denizens of the twenty-first century, one reason to try our hands at poesiealbum-type writing is simply to step back in time—to feel the historical experience of people who came before us in our bones, just a little bit, through the act of writing (with a pen or pencil on paper) as those people wrote. 5. What writing prompts or exercises for young people have evolved from Imperfect Spiral? - Imperfect Spiral concerns a tragedy and a community’s search for someone or something to blame for that tragedy. Why do you think people need to find someone or something to blame when tragedy strikes—even when it’s entirely possible that the tragedy has no villains? Write your response as an essay or a poem. - Write a letter to the editor—something that could be published in a newspaper—about an accident or controversy in your own community or school that prompted a focus on someone or something to blame that you believed was misplaced, and what you think the focus should have been. - Given their age difference, Danielle and Humphrey obviously are at very different places in their lives. Despite that, Humphrey teaches his teenage babysitter some important lessons. Create a “top five” list of things Danielle learns from the little guy. - In the story, we see Danielle questioned by authorities on three different occasions with respect to the accident. Following this theme of Q-and-A, create a list of questions that you would you like Danielle to answer about the events that transpired two years earlier, when she went through a life-altering experience at her Bat Mitzvah. I am working on the very beginnings of another contemporary young adult novel. And I’m in the research and thinking stages of something that I hope will end up as a nonfiction picture book about a Civil War topic. And who knows what fresh ideas will present themselves tomorrow!